1. I believe Christ will come back physically and visibly, in the same body He ascended to heaven in (Acts 1:9-11). 2. I believe that Jesus currently reigns as King of kings and Lord of lords and that His kingdom reigns over all the kingdoms of the earth (Ephesians 1:20-23; Colossians 1:13-20; Psalm 103:19). 3. I believe that through the rebellion of Adam and Eve, authority was handed over to Satan to rule over the earth (Luke 4:6-7; 1 John 5:19). 4. I believe that, through the completed work of the cross, Jesus has defeated the Devil and cancelled his authority (Colossians 2:15; 1 John 3:8). 5. I believe that the current earth is a battle-ground between the Kingdom of Darkness and the Kingdom of Light, but that the war is over and that the Devil has been exposed as an usurper and knows that his time of rebellion and authority is coming to an end (Ephesians 6:12; James 4:7; 1 Peter 5:8-11; Revelation 12:12, 17). 6. I believe that Jesus will Rapture His Church (1 Thessalonians 4:17). 7. I believe in a Pretribulational Rapture (more on this below). 8. I believe Jesus will literally reign on the Earth for a literal thousand year period ("The Millennium"; Revelation 20:1-7). 9. I believe that after the Millennial reign of Christ, the Devil will make a final attempt to lead others into rebellion before the final Judgment is rendered, the Devil is cast into Hell forever, and the final states of Heaven and Hell ("The Eschaton") will be ushered in for the rest of eternity (Revelation 20:7-22:21). I find the above nine affirmations to be based on a plain reading of the biblical text and encourage you to look up and read each passage that is cited in its context. Although I find the above to be clear and plain, there are many who disagree with this! It must be re-affirmed that in the spirit of Christian charity we interact in grace, love and humility with our brothers and sisters who disagree with us. While I'm not persuaded at the current time to give up any of the above beliefs, I am willing at any moment to change my beliefs if I can be shown from the Scriptures where I am in error. In the present, I am convinced in my own mind that the above belief structure accounts for the fullness of the biblical revelation regarding the return of our King. Often when discussing with others who disagree with (specifically) the Pretribulational Rapture of the church, the claim is leveled that I am afraid of persecution and that this view is merely "wishful thinking" on my part and has no basis in the text. 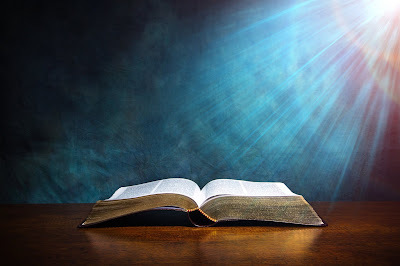 While it is possible that some hold to a Pretribulational Rapture simply because they don't want to endure the Tribulation, I must state as plainly as possible that my position is based purely on my reading of the Scriptures and not my feelings of when I'd like the Lord to return! In fact, it doesn't matter whether or not the Church is raptured pre-, post-, mid- or not at all ... no matter what, if we follow Christ we will endure persecution (2 Timothy 3:12). Despite some claims to the contrary, Jesus clearly taught that following Him includes suffering (Matthew 10:38; Romans 8:17-18; Philippians 1:29-30). Like most people, I would prefer not to suffer more than necessary. However, I believe the Bible teaches that the Church will be Raptured prior to the Tribulation. This understanding is not based on a particular passage stating the timing of His return (since there isn't one), but based on a cumulative case from the Scriptures. Based on the affirmations above, there is a battle raging on the earth right now. The war is over, the Devil is defeated and disarmed, but still he persists in his rebellion wreaking as much havoc as he can until Christ returns and institutes His Kingdom in its fullness. He knows that he has lost the war, but he will fight until he is cast into the lake of fire forever. The central message of Jesus' teaching was the Kingdom of God (or: Kingdom of Heaven). The central message of the Apostles was the Kingdom of God. Read through the parables again and you'll see how often the Kingdom starts small (e.g. mustard seed or leaven) and grows to great proportions. Jesus instituted His Church (made up of believing Jews and believing Gentiles) and proclaimed that the Kingdom of Darkness would not be able to stand against its advance (Matthew 16:18-19). Unlike in the nation of Israel, where the Spirit of God dwelt in the tabernacle and in the temple, in the Church the Spirit lives in His people (1 Corinthians 3:16, 6:19; Ephesians 1:13-14; Romans 8:9-11; 2 Timothy 1:14; Galatians 4:6). The Kingdom of Darkness cannot overpower the Kingdom of Heaven and the Devil and his demons have no ability to overpower the Spirit of the Living God ... yet, in the Tribulation period the Kingdom of Darkness literally begins running rampant over the earth (e.g. Revelation 9). How can this be? Now we request you, brethren, with regard to the coming of our Lord Jesus Christ and our gathering together to Him, that you not be quickly shaken from your composure or be disturbed either by a spirit or a message or a letter as if from us, to the effect that the day of the Lord has come. Let no one in any way deceive you, for it will not come unless the apostasy comes first, and the man of lawlessness is revealed, the son of destruction, who opposes and exalts himself above every so-called god or object of worship, so that he takes his seat in the temple of God, displaying himself as being God. Do you not remember that while I was still with you, I was telling you these things? And you know what restrains him now, so that in his time he will be revealed. For the mystery of lawlessness is already at work; only he who now restrains will do so until he is taken out of the way. Then that lawless one will be revealed whom the Lord will slay with the breath of His mouth and bring to an end by the appearance of His coming; (2 Thessalonians 2:1-8, NASB). My understanding of this passage is that Paul is explaining to these believers a series of events that must occur. However, before any of these events occur, the "one who restrains" must first be taken out of the way! Paul writes to them expecting them to know what he is talking about, saying, "And you know what restrains him now." It is my understanding of the Bible in general and the Kingdom of God/Heaven in particular, that "the one who restrains him" is the Holy Spirit through the church (see Romans 16:20 and Ephesians 3:20-21). God works His power through His Church. If the Kingdom of Darkness cannot prevail over the Church ... if the "end" can't begin until the "one who restrains" is removed ... and if God can't take the Holy Spirit away from the world unless He removes the Church from the world (since the Holy Spirit is a guarantee of my inheritance, God will not revoke His Spirit from me or any other believer), then the Church/Holy Spirit must be taken out of the way so that Hell (the Kingdom of Darkness) can run roughshod over the earth without restraint. Therefore, the idea that the Church will be removed from the earth prior to the Tribulation has nothing to do with God sparing His Church from judgment (1 Peter 4:17-19) but instead has everything to do with God's purpose for the Church. The Church is salt and light in the world (Matthew 5:13-14). This is a claim of ontological reality, or being, and not simply a statement of purpose. If you have the Holy Spirit dwelling within you, you are salt. You are light. Now, you should live like it! Salt slows the process of decay (remember, the Bible was written before refrigeration!). When the End comes, the world will decay at an incredible rate. For this to happen the salt must first be removed. Light dispels darkness. Darkness can be defined as the absence of light. For the Kingdom of Darkness to overcome, the Light must be removed. To deny the Rapture as happening prior to the Tribulation period is, in my understanding, to hold a theological view that allows for the Kingdom of Darkness to triumph over the Kingdom of Light (if even for a short period of time). To me, this view is untenable. Instead, God will remove His Church as a sovereign act of His good will and pleasure as a precursor to His judgment being poured out on the earth. 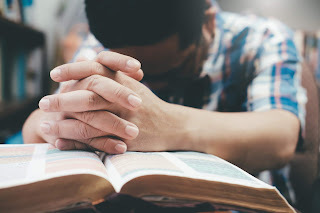 In this process, the world will still have opportunity to be saved through repentance and faith in Christ, but many opportunities will be squandered. Instead, a great revival of sorts will be occurring in the nation of Israel and in the Jewish people (Romans 11). This is why, when Jesus returns to the earth in His second coming, He will be followed by an army of believers from heaven (which I understand to be the Church; Revelation 19:11-14) and every eye will see Him. For this army to be with Him (prior to the resurrection), a pretribulational Rapture makes sense (1 Thessalonians 4:17). The Church will be caught up to meet with Christ in the sky and will follow Him in His return. Every eye will see Him return (Revelation 1:7) because at the end of the Tribulation period, the earths population will have been greatly reduced through the Judgments of God and the Anti-Christ and his army will be assembled against the remnant of tribulation believers (in whom, like prior to the institution of the Church at Pentecost, the Lord will have a relationship with them but will not indwell them through the Holy Spirit) in order to destroy them. I once listened to a Christian radio program where the host had people calling in to discuss how it was that every eye would see Jesus' return ... would it be thanks to technology? Would it be a miracle that God somehow supernaturally allowed people in Africa and Asia and North and South America to see Him simultaneously, even though He was physically returning to Israel? Astonishingly, no one raised the possibility that every eye would see Him simply because the entire world's population would be assembled in the geographic area by the Mount of Olives (Zechariah 14:4) at the time of His return -- either as a member of the Anti-Christ's army or as a part of the believing remnant who fled there for refuge from the pursuit of their enemy! In a literal reading of Revelation, this will be the reality at the end of the Tribulation period. The objection is often raised that a Pretribulational Rapture of the Church suggests a "secret coming of Christ" and that the so-called Second Coming of Christ is now actually the Third Coming. While this may seem like a fair critique, I think it falls short of being convincing for a number of reasons. First, Jewish believers who were expecting the Messiah to come had a difficult time seeing a distinction between what the Church sees clearly -- mainly because we see with hindsight! "Behold, I am going to send you Elijah the prophet before the coming of the great and terrible day of the LORD" (Malachi 4:5). Jesus (in His first coming) said that John the Baptist fulfilled this (Matthew 11:14; 17:12). But the great and terrible day of the Lord is yet future. There is at least 2000 years in the middle of this single prophetic verse! This is one of the reasons why it was so difficult for the Apostles to understand that Jesus was leaving and not instituting the Kingdom right then (Acts 1:6). Many more verses could be cited to further demonstrate this reality. The fact is, God's first coming didn't seem to indicate a second, later return. If the Second Coming has a space of seven years between His collection of His bride (the Church) and the time He sets His foot upon the earth again, that is still much less than the 2000+ years that separated the "coming of the Lord" as prophesied in the Old Testament! Secondly, we must understand that the Rapture is not a "secret coming to the earth" as if Jesus will go house to house and whisper to people that they meet Him in the sky at a certain time. It will be a miraculous move of God in which He takes His people to meet Him. Jesus doesn't come and get us, He sovereignly brings us to Him where He is. This is a different thing entirely! 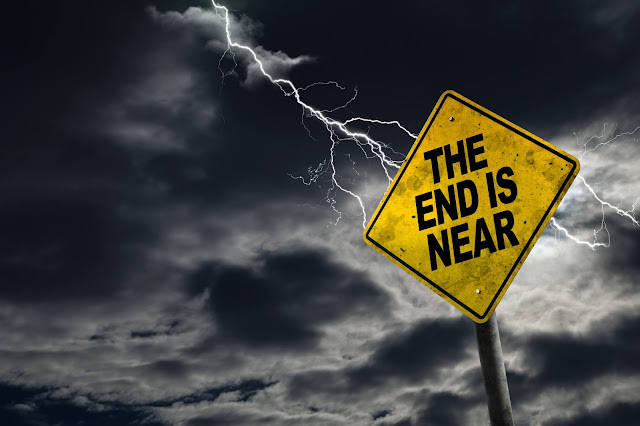 One last consideration should be mentioned: namely, the reality that the Church is warned to be ready because Jesus' return is imminent (that is, it could happen at any second) and the elaborate descriptions of the Tribulation events happening prior to the Lord's return. If Jesus will rapture His Church to Him at a moment I do not expect, it literally could happen before I finish typing this sentence ... (it didn't). If the Rapture is to happen in the middle of the Tribulation period, we're at least 3 1/2 years away from it since the Tribulation hasn't begun. If it's at the end, we're at least 7 years away. Now Jesus' warning to be ready and on the watch doesn't seem as critical. In fact, the description of events at the end of the Tribulation where every eye will see Him return and the reality that His followers must watch because it will occur at an unknown hour depict two very different realities. When Jesus returns to conquer the Anti-Christ, the entire world's population is assembled in the geographical region of Israel. When people are "taken" some are grinding grain and some are in their beds, meaning it's in the middle of the work day for some and the middle of the night for others (Luke 17:34-35). It's hard for this to happen if everyone is in the same place, but if there are people around the world then we know it is day in one part of the world while it is night elsewhere! It is very difficult to reconcile both of these teachings without a Pretribulational Rapture of the Church. We could spend some more time looking at smaller details, but these are the major reasons why I believe in a Pretribulational Rapture of the Church. I am satisfied that this position is firmly rooted in the Scriptures and that it best accounts for the fullness of what we've received. Still, I know and love many dear brothers and sisters who disagree with me on this. It's with humility that I submit my understanding of this difficult area of interpretation. If you disagree, please feel free to bring your scriptural reasons for disagreement to the table and we can openly and honestly discuss. All are welcome to post comments! I'm less interested in personal opinions or names of scholars who hold different positions than I am in what the Bible says. The bottom line is this: Jesus is coming back. Are you ready? It's up to P. Scott if he wants to have a class on "Eschatology" some time. Unfortunately, this issue can be divisive so it may not be worth it if it doesn't contribute to our mission to make Jesus known in our community and beyond. It doesn't have to be divisive ... especially if everyone just agrees with me! On an individual basis, if you want to chat and ask questions that's okay by me!